David Hamm, the affable owner of the Palm Desert 76 gas station on Highway 111, heard good news last week. His station will be a rare location with one of those 76 balls that became endangered when the chain's owner, ConocoPhillips, began taking them away. I am not aware of another station in the Coachella Valley or San Gorgonio Pass with a 76 ball. Hamm, instead of lamenting its loss, now can cheer. "We thought we were going to have to get rid of it," said the station's manager, Dennis Finnell. Hamm was saddened by the planned loss of the ball but did not fight its proposed removal. Finnell said Hamm was glad to hear a ball will be on his property. 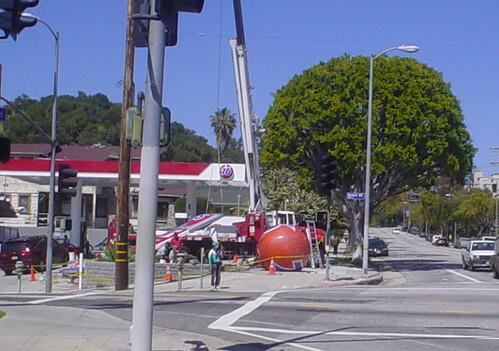 The orange 76 ball, which debuted at the 1962 Seattle World's Fair, was a familiar symbol to Southern California drivers since the 1960s. 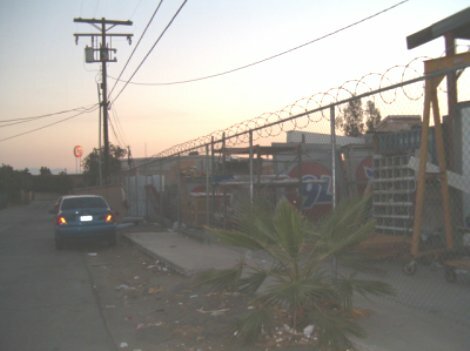 Hamm's station was doomed to lose the ball in a few months during the installation of new signs and the painting of a red-and-white ConocoPhillips color scheme, which retains the old 76 logo, but in red. The 76 stations on Beaumont Avenue near Interstate 10 in Beaumont and Hargrave Street off the freeway in Banning both received the red-and-white treatment but do not have balls. The Smoke Tree 76 in Palm Springs lacks a ball too. ConocoPhillips, which acquired the 76 stations in 2002, began taking the old balls down a year later. Upset people started opposition Web sites and circulated petitions to try to save the balls. ConocoPhillips marketing specialists, concerned about the backlash, relented and announced they would have balls at 100 high-profile stations. The Palm Desert station was chosen, but the ball won't be the nostalgic orange globe that now is in place. ConocoPhillips is replacing the orange balls with a new, red version displaying the 76 logo. People love the old orange ball. In the gas biz, there is little affection for high prices and a lack of service. Why not keep something that is liked? The choice of Hamm's service station is particularly appropriate. He actually provides service. He only charges a few cents extra for full-service gas pumping, customers know attendants by name and mechanics work on cars. It's an old-school place where the orange ball would be a symbol of small-business values from another era. Monty Sabbah, owner of the 76 station on Monroe Street in Indio, was not so lucky. He lost his 76 ball during his station's repainting last spring. 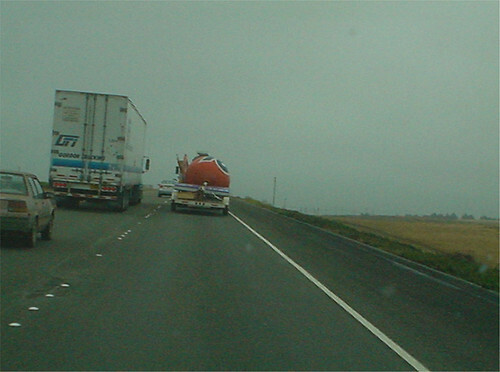 He wasn't even allowed to truck the old orange ball home. "They took it away," he said. His customers were saddened by its removal. They told him it was a symbol that endured from their youth. Sabbah said he only sees a few remaining 76 balls in Los Angeles and is not aware of any in the desert or Pass, besides the Palm Desert station. "I like the old 76 ball," he said. "You remember it from years ago. "It was sad. The 76 station in Smoke Tree Village in Palm Springs lacks a 76 ball too. We still have pictures and the memories." Sabbah also has a small supply of those old 76 orange antenna balls. He's not a stingy man. In the tradition of the orange ball, he's willing to give them away to the first customers who ask. Preservation Online feature “On the Ball: How the 76 Ball Was Saved”	Halloween is here!